Hopefully by the end of this article you’ll have made up your mind on which MOBO to pick for your CPU , we will try to provide you with all the necessary info and reasons why we have picked these motherboards, rest assured, all of them are great picks regardless of your choice. The Intel Core I5 4690K is one of the current market leaders with amazing sale numbers, while featuring equally amazing stats in terms of processing speed and price. This Intel CPU is unlocked, hence the “k” in its name, which means that one of the minimum requirements for your board would be that it supports overclocking if you wish to get the most out of your Intel Core I5 4690K. These questions are quite important because they can change the answer to which is the best motherboard for I5 4690K , some have features that are more appealing to gamers while others may not need them and so on. 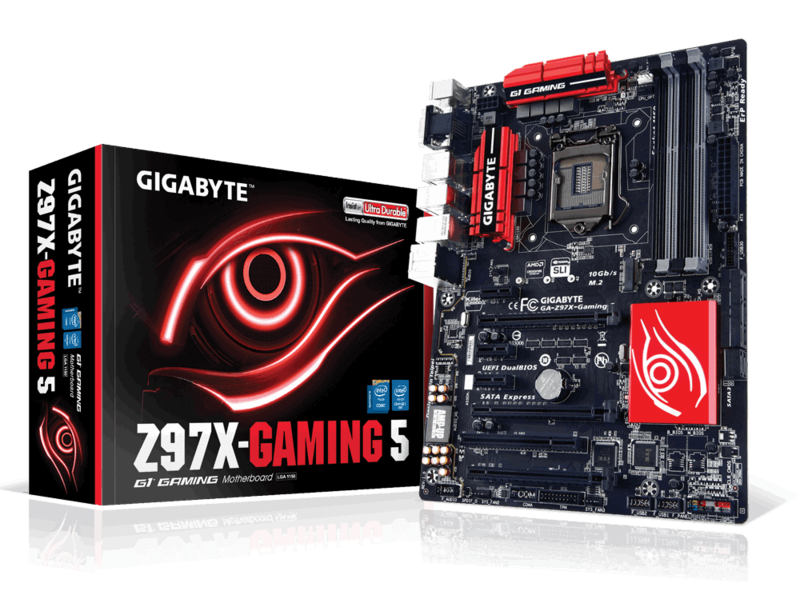 Many people buy this processor with gaming in mind, if that’s the case then that’s one of the things that separates the different types of motherboards you could have. You can go for cheaper options with worse soundcards, while for avid and more competitive gamers a better motherboard may prove to be a valuable asset due to high quality sound cards which may help you in a game where sound is very important. There are a few options here with barely any differences; it’s almost all cosmetics & brand. All of the following motherboards have already been tested and have proven to be high quality with incredible reviews. 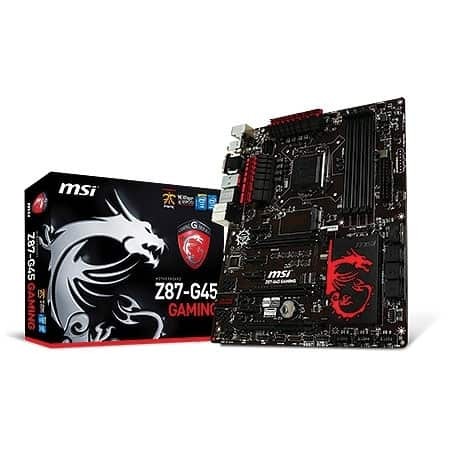 The MSI Z87-G45 is a great option for its price with which will satisfy all the gaming & hardware needs that you may have, it supports 4 RAM Sticks, supports up to the newest generation of 1150 socket CPU’s, allows overclocking and endures it well, also has great reviews in terms of life expectancy with almost no bad reviews regarding malfunctions, it’s definitely a safe buy if you’re looking for a great MOBO that fits your needs. We also wrote a review for the Z87, perhaps you may be interested in reading an article about the MSI Z87-G45 Gaming ATX LGA1150 . Well, like the name suggests, it’s quite obvious why we have chosen this one to be on the list, it was made with gamers in the producer’s mind, It features 4 RAM sticks as well, supports socket 1150 up to the latest generation and also allows overclocking, like I said before there’s barely any difference between these motherboards besides cosmetics, however this may be a bit better since it was specifically made for gamers, hence the soundcard may be a bit better. If you just want performance & money efficient motherboards while not being a very competitive gamer then there’s plenty good motherboards for you, if you however do not buy the unlocked version of this CPU then you don’t even have the need to spend so much on a MOBO as most MOBO’s between 60-90€ will be perfectly fine, keep in mind that if you purchase the “K” version and overclock it the performance boost will be like day and night. We won’t be picking any particular motherboard here because like I said, almost any of them will do, just make sure you have 4 RAM stick entries as it may prove valuable in the future even if you currently only utilize 2 RAM entries, as long as your motherboard has the ability to overclock you will be able to take the most out of your Intel Core I5 4690K and power it up to full speed, just make sure to properly feed it by “feed it” I mean you should make sure it’s properly cooled, remember to apply thermal paste every few months and make sure your CPU fan is enough else water cooling may be a good option or a better fan, if you don’t have these precautions it may have some terrible side effects. However if I had to choose I’d definitely say that the Z97 is without doubt the greatest because of all its features, it’s even good enough for most high tier I7’s, the Z97 is definitely a good motherboard for I5 4690K if you’re looking for top tier performance and money efficiency, we have several of them and never had a single complaint so far in over 2 years, I’m sure you’ll be satisfied with the Z97.